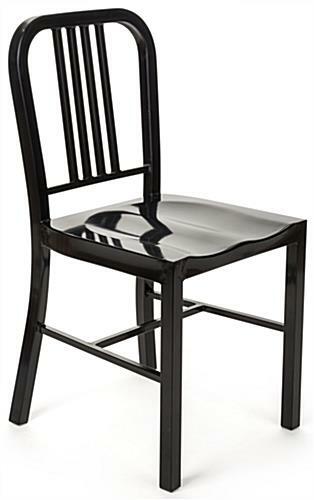 This black metal café chair complements any outdoor bistro seating area with its contemporary design. Durable and powder coated, this set of extra seats can stand up to all the elements. 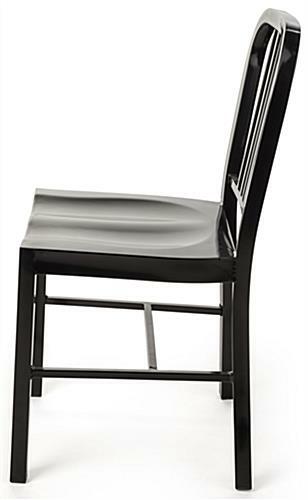 The molded metal café chair comes fully assembled and is light weight. Each bistro seat has a high back for a chic mid-century design. 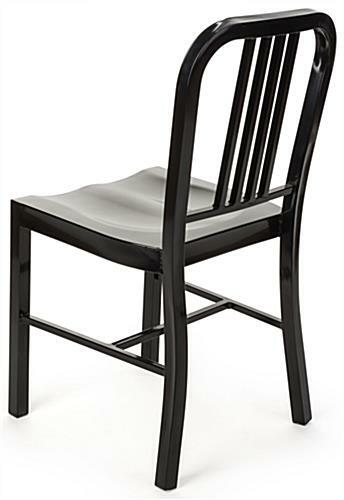 This café chair is light weight for easy table and seating configuration during large events. 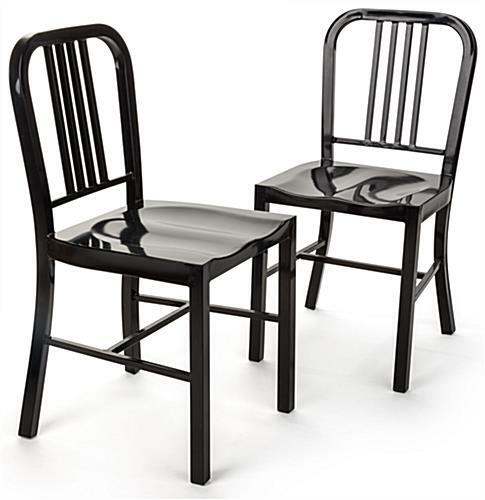 This set of 2 stylish dining fixtures offers plenty of extra seating for chic and contemporary themed gatherings. 16.0" x 18.5" x 32.7"
15.8" x 17.5" x 14.5"